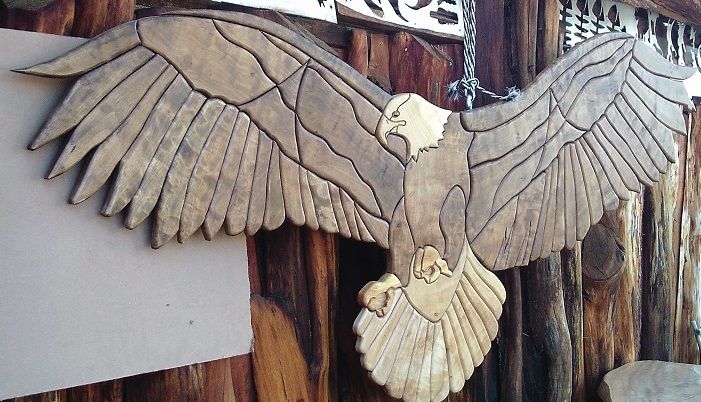 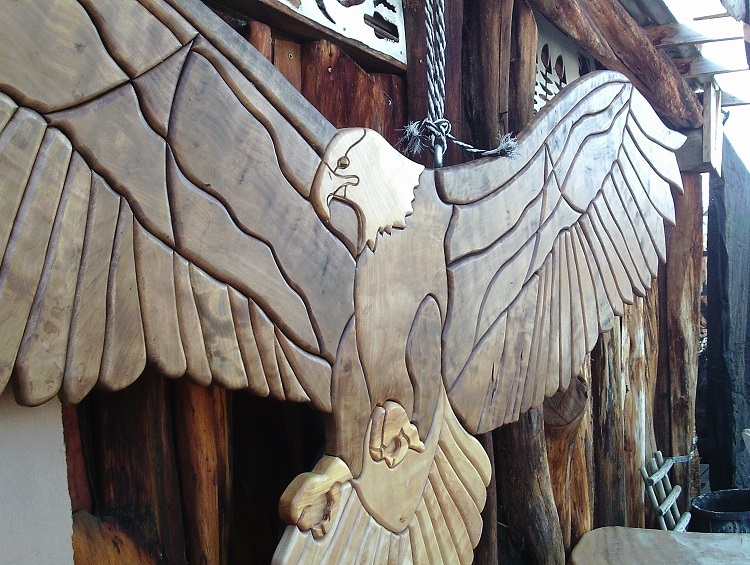 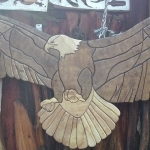 This magnificent mounted original Intarsia artwork of the fish eagle measures 3m wide x 1.5m in length. 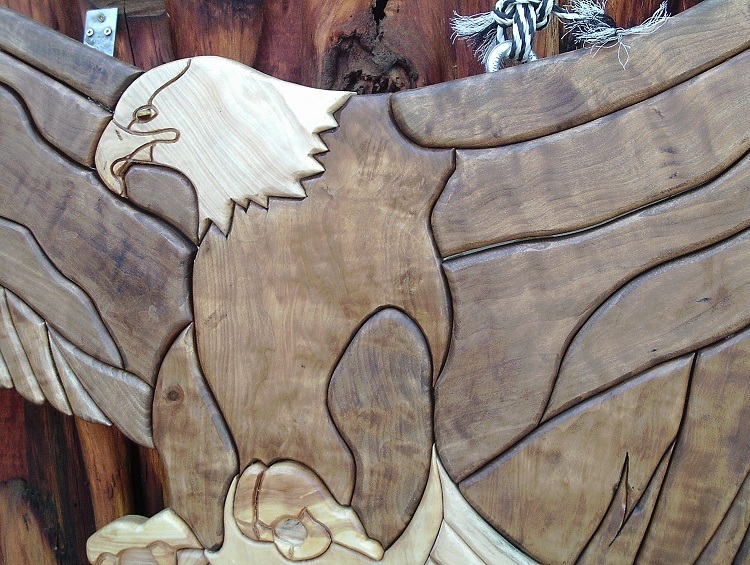 Perfect for a lodge, corporate company, or grand entrance. 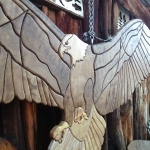 The practice of Intarsia dates back to before the seventh century. 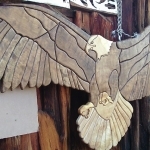 In the 1980s, Intarsia began to gain popularity as a technique for creating wooden art using a band saw or scroll saw. 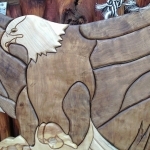 Intarsia is a woodworking technique that uses varied shapes, sizes, and species of wood fitted together to create a mosaic-like picture with an illusion of depth.